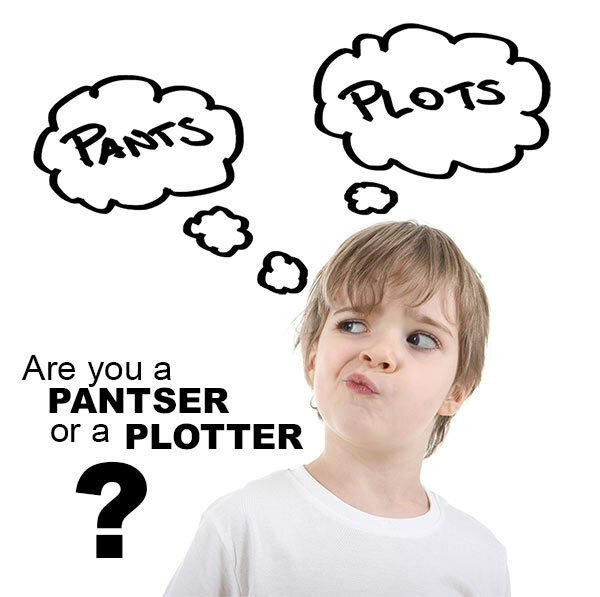 Are You a Pantser or a Plotter? Wherever writers gather around the (virtual) watercooler this topic comes up. Are you a panster, or a plotter? Meaning, do you sit down with no idea of where your story is going and just write and do youwrite a scene by scene outline before you even begin. Most writers fall into one camp or the other, and most are pretty vocal on why their method is best. The pantsers insist that if you stick to an outline, you'll miss the delicious side paths your story may take, that are sometimes the best part of the novel. The plotters say that a well plotted novel hangs together much better, and will require less editing in the long run. Both sides have their pro's an con's. In case you can't guess which camp I fall into, I'm a pantser. Mostly. However, I do sometimes wonder if there is a way to have the best of both worlds. Is there a certain amount of planning that will help a pantser write more quickly and effectively? Can a plotter keep their outline fluid enough to take advantage of an unexpected twist when it arrives? I can't speak for planners, but as a pantser, I definitely find that writing out a brief plan for a scene before I start can help me get the words down faster. And when I get stuck and aren't sure where the scene is going, running through a list of possibilities, or talking it over with a writting friend, can definately help me get unstuck. How about you? Are you a pantser or a plotter? Do you ever wish you could do the opposite? Although I have a general idea of where my story is going, I tend to fly by the seat of my pants. I just write what comes out, and then I organize, edit and evaluate it later. I am a true believer in the advice of Hemingway: Write drunk, edit sober. I hadn’t heard that one, but I agree. Some of my best ideas have come when I had NO idea where the story was going. Of course, some of my general chapters of rambling characters unable to make up their mind have come then too. But they’re easy to cut out in the edit.